The GCB Bank Limited has successfully secured its banking platform against third-party access after some customers reported suspicious transactions in their accounts at the weekend. The bank has, therefore, assured customers and the general public that their deposits and information are secure and protected against unauthorised transactions. 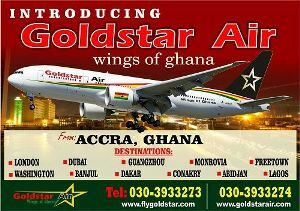 The assurance followed reports by some customers that they had noticed some suspicious transactions in their accounts. While confirming the reports, the source said the bank’s electronic platform was able to quickly detect the suspicious activity and consequently shut down to help minimise the impact. Consequent to that, the source said the management of the GCB Bank had launched an investigation into the suspicious transactions to help establish the cause to inform further actions. It added that the investigation included validating claims of customers for refund after authentication. The source, therefore, asked customers affected to remain calm as the team was working to refund their funds. 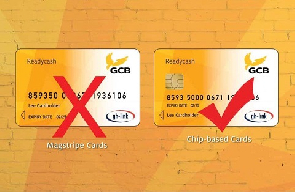 Last week, GCB Bank commenced the instant issuance of ATM Readycash cards with enhanced security features. The new cards are chip-based and will replace the mag-stripe cards that were being used. The source said the rollout of the new cards was part of measures to protect customer information under a robust electronic banking system. “This card is more secure and the replacement is to stem things like this from happening,” it said. It explained that the replacement of the card took less than 10 minutes to complete and, thus, advised customers to endeavour to replace their cards to help benefit from the enhanced security features. The replacement is being done in selected branches nationwide.